Social media is a rapidly evolving space and has lead to unbelievable opportunities for all types of people regardless of their backgrounds, locations or beliefs. Anyone can sign up, share their passions and connect with like-minded people around the world. 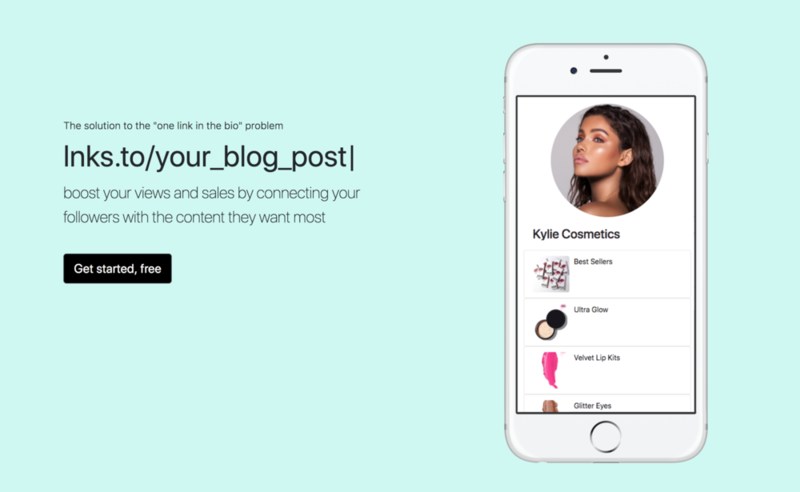 "The one link in the bio problem"
For some, building a business online means selling a catalogue of physical products on Shopify. Camgirls need to rely on selling videos, being tipped in sessions and being gifted items. For influencers, it means sharing links to content or, sponsors products and services. We all need to have multiple kinds of content and instantly accessible to our communities to keep them engaged in supporting the business. Currently, many social media platforms limit you to having one link on your profile or, have very little space in a post for sharing multiple links. With lnks.to/ we want to offer a very simple solution to this problem. Stop posting content in the dark! Tired of swapping links in your Instagram bio?